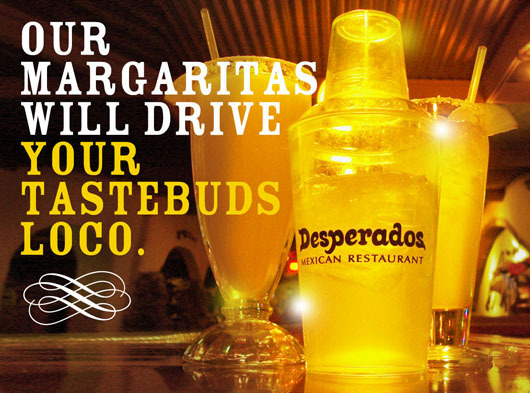 Desperados Mexican Restaurant – A Dallas landmark and family tradition since 1976. Proud caterers of the Dallas Mavericks, the Dallas Cowboys, the Texas Rangers, and the 2011 Super Bowl. We have been serving our authentic family traditions for over 40 years. 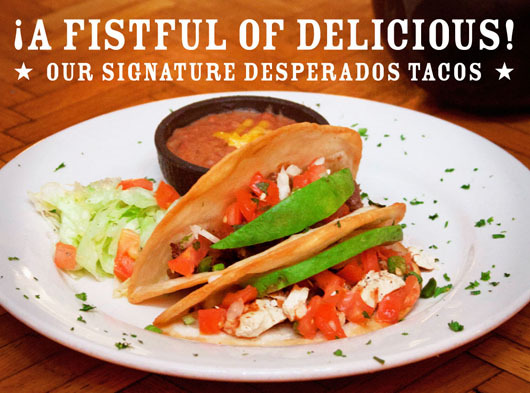 Five time winner of the Best Margarita in Dallas, voted Best Mexican Restaurant and Best Tex-Mex Restaurant in Dallas, our fans rave about our world famous Desperados Tacos, award winning Guacamole and Mama’s Tortilla Soup. Many of the original menu entrees are still available as they nicely complement the newer and more contemporary menu selections. We like to say that we are not Fancy we are Family (…well maybe we can be a little fancy). Since the beginning Desperados has always considered itself a different Mexican experience and we are proud to say that most people agree. 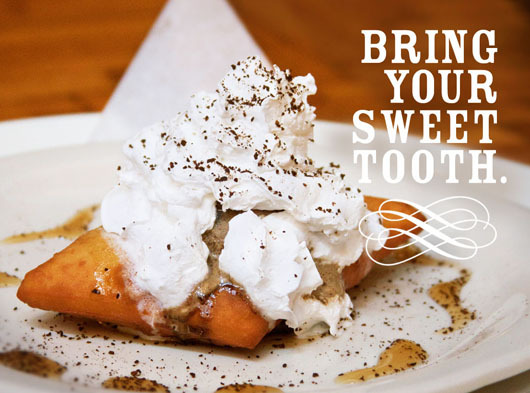 We invite you to come in and enjoy this delicious Dallas original. You can only find us at two locations; in the heart of Dallas on Greenville Avenue and in the Garland/Richardson area on Campbell Road.